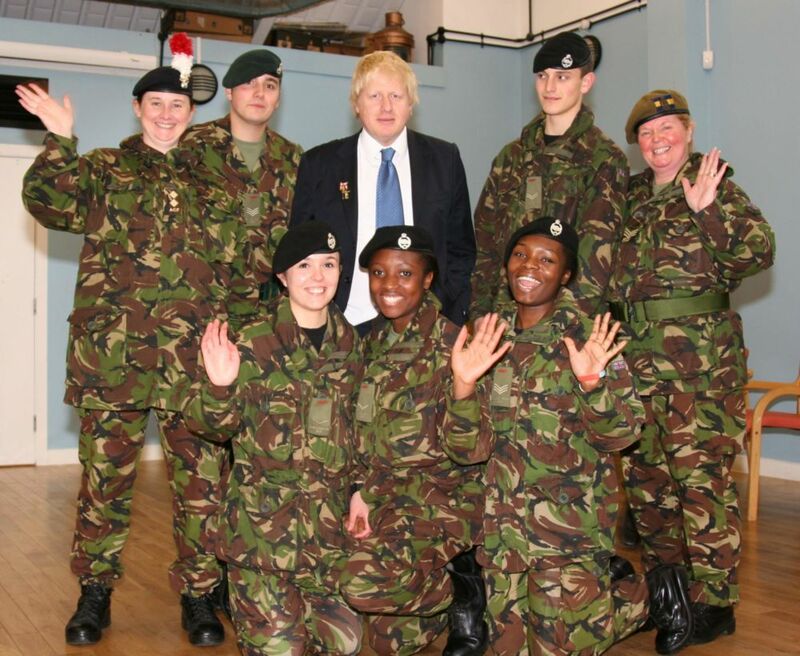 On 19th January South London Army Cadets and their Adult Leaders were among uniformed youth groups who met The Mayor of London Boris Johnson at the Merton Sea Cadets Centre in Mitcham, London. He saw and tasted the range of healthy foods available and helped cook the ‘compo’ rations of meatballs and pasta, and chicken curry. 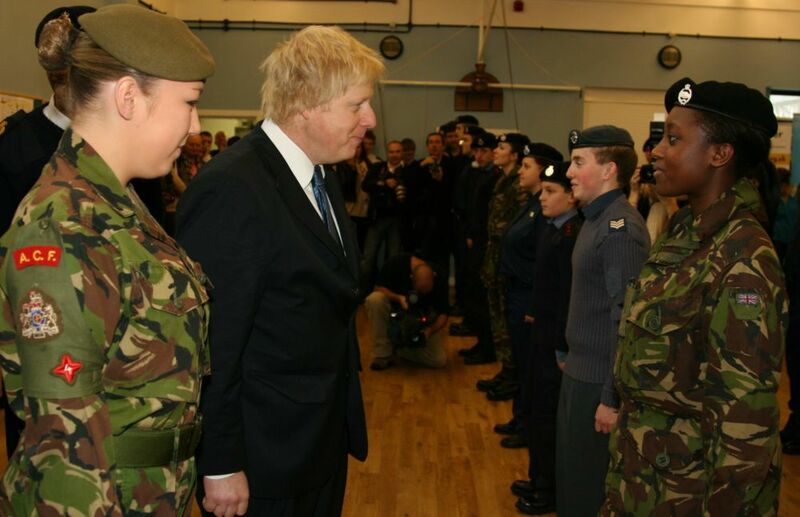 Under the expert guidance of seventeen year old Cadet Regimental Sergeant Major Brogan Twite he inspected the parade of uniformed cadets and even gave several drill commands. 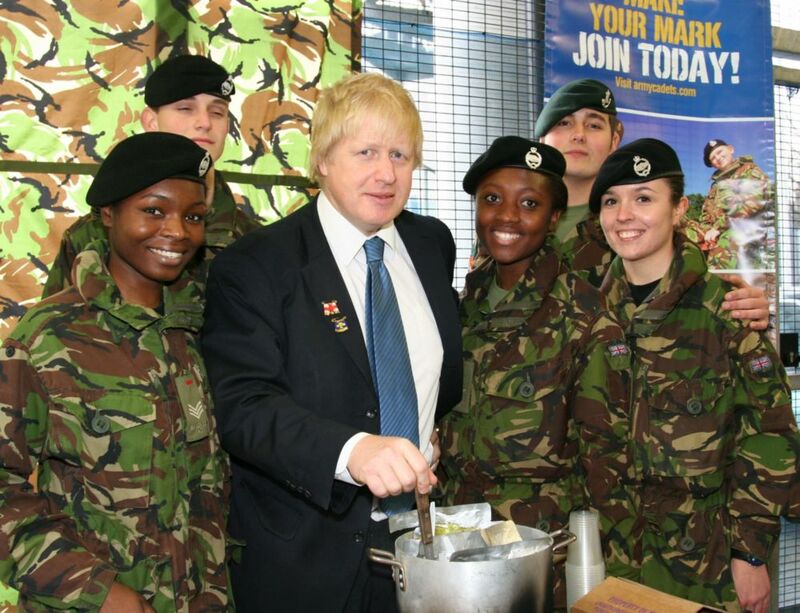 During a tour of the building he saw a range of activities undertaken by a variety uniformed youth organisations. The Mayor was unveiling the new programme which would boost the job prospects of thousands of young Londoners and steer them away from involvement in crime. In the plans outlined by the Mayor, thousands of youngsters will have the opportunity to join uniformed groups like the Guides, Boys Brigade and Cadets. The £1.3 million programme, being run by the Safer London Foundation, will help young people develop vital skills and instil discipline and responsibility in young people, particularly those who are or at risk of being excluded from education, training or employment. 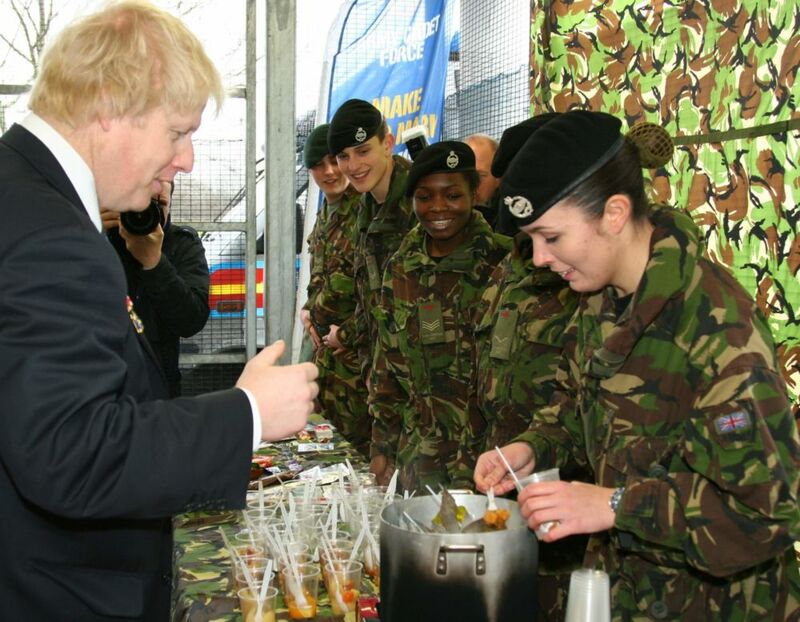 The Safer London Foundation will work in partnership with the You London uniformed groups- Volunteer Police Cadets, St John Ambulance, Army Cadets, Air Cadets, Sea Cadets, Guides, Scouts, Boys’ Brigade and Girls’ Brigade. News and pictures supplied by Captain Michael Nolan.